Banco Carregosa, the Portuguese bank, has selected the AplonAPI API Management Platform to power its PSD2 compliance and open banking project. 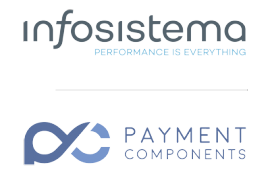 PaymentComponents, which provides open banking solutions, and Infosistema, which provides analytics solutions to financial firms, have teamed up to provide open banking infrastructure. AplonAPI is an APIs management platform, tailor-made for the financial services sector, with open architecture. It aims to achieve PSD2 compliance to “rapidly” build, manage and distribute banks’ APIs. Just half a year ago, PaymentComponents and Infosistema were on a roll in Portugal. Some of the banks on board with its solutions are Caixa de Crédito Agrícola Mútuo de Mafra (CCAMM), Caixa de Crédito Agrícola Mútuo da Chamusca (Chamusca Mutual Agricultural Credit Fund), and Caixa de Crédito Agrícola Mútuo de Torres Vedras.